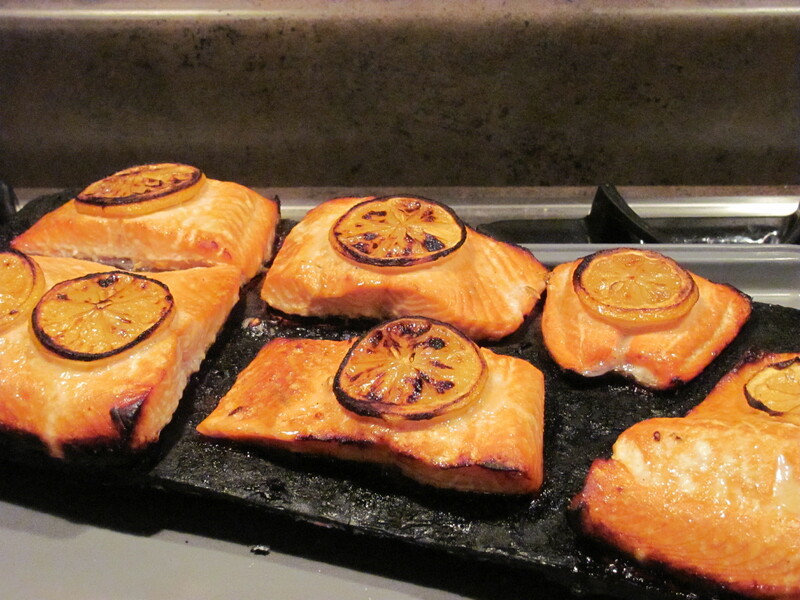 Salmon ala Todd….A delicious weekend! I waited for 2 weeks, enduring 10 days of a Michigan work trip, to get back home and enjoy a beautiful warm weekend! BBQ, wine and sun soaking into my cold, snow weary bones! Unfortunately, I seem to have brought the cold weather back to Arizona with me! The entire weekend was cold, rainy, windy….the worst of Southern Arizona weather! And it still rains….58 degrees…ugh! But Todd did come through with one of his gourmet meals! Pecan wood grilled/smoked salmon! I ate left overs for lunch today! I will be going into more details on another post, about Todd’s incredible BBQ- A Santa Maria style pit, equipped with a adjustable rack that sits over an open flame. He uses either mesquite or pecan to grill! Yum! My weekend was worth all the bad weather, just for a bite of Salmon ala Todd! The salmon was fantastic…will you publish Todd’s recipe? I had intended to include the recipe! Thanks for reminding me.